There are few women that escape the embarrassing problem of unwanted hair. 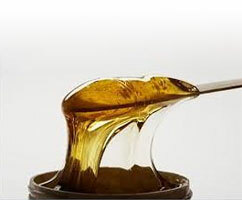 Sugaring is a technique of hair removal that an ever increasing number of women are turning to in preference of other methods available. The sugaring hair removal method is similar to the waxing method. However, unlike wax, the sugaring compound adheres only to the hair and not the skin, and hence there is less discomfort than with waxing. Because the hair is removed by its roots, below the skin's surface it is not uncommon for one application to last up to six weeks. . This is one of the reasons sugaring is preferable to shaving. The product is a blend of natural ingredients with no harsh chemicals, thereby completely eliminating the possibility of any harmful side effects. It is a practice that originates from North and East Africa where, for centuries, it has been part of the tradition and culture of the Arab women. Since it was introduced to this country on a commercial basis the technique and the paste have been refined to give us sugaring as we know it today. During the process dead skin cells are also removed with the hair which leaves the area treated exfoliated, therefore leaving the skin feeling soft and smooth. Each session becomes less painful as time goes on as the hair follicle becomes weaker each time it grows back, and with regular treatments the re-growth of hair is much finer and sparser. Many clients report permanent hair loss after a long period of sugaring use. No animal experimentation has been used in its development. I have over 14 years experience as a fully qualified Sugaring Practitioner and have a professional salon sited at my home in Cheney Manor, Swindon. To book your appointment, or to simply call for advice or further information please do not hesitate to contact me.